All the hypnotists I know and have trained wanted to become hypnotists to help people. And passion and drive to make a difference in the world and have a meaningful and fulfilling career is important and worthwhile. It is GOOD if what’s brining you into this profession is a desire to be of service, to help people. And making money doing that is a win-win - for you, your business, your community, and your clients because income can help grow your business, and you deserve to make a great income while helping people. People value what they pay for, and an exchange of money when used in the right way just grows the good that you can create in the world. The financial aspect is to running a business is vital. Create Products : podcasts, write books, hire professional videographers to record LIVE courses and special events. Travel to and grow your business and reach : Last year I visited Scotland, Washington DC, and Hawaii and created specialized hypnosis based products to help more people. Invest in your business and hire help: hire admin support so you can do more hypnosis, or hire someone to edit and produce your podcasts or audio products. If you’re getting into this business purely for the money, then you’ll likely have a hard time growing your business. This is because the real value we bring to our clients is coming from a combination of a true desire to be of service, paired with excellent training and skills as a hypnotist to provide massive value and results for our clients. Businesses grow because of results for our clients, so we have to put our clients' needs and wants first - when that happens the money starts to flow as long as you have a great product (excellent training, great delivery, and excellent self-care). How will you make money as a hypnotist? Here's a list of some of the ways hypnotists make money that Cal and I discuss in the video - but there are more. There are endless ways to make money as a hypnotist. Wherever you can bring yoru clients value is an opportunity to create a product and service and be of service to your clients and customers. Working with clients one on one is the primary source of income for most newer hypnotists. Over time most hypnotists will add group programs, products, and events to their regular schedule. 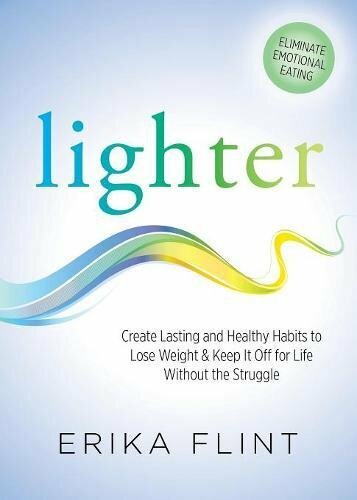 Teaching hypnosis in groups, for example weight loss and smoking cessation is very common, however it's not something I do. I believe we get better results working one on one, and teach only introductory courses in groups with the intention of working more deeply with clients. 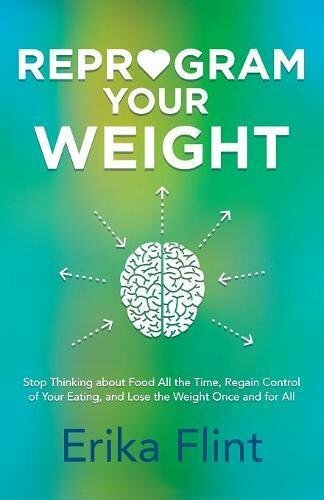 The only group hypnosis courses I teach are on self-hypnosis, stress, and Reprogram Your Weight system based on my books. Creating products to sell the public - like hypnosis recordings, e-books, and video training is a great way to grow your business and share your wisdom with the world and clients. 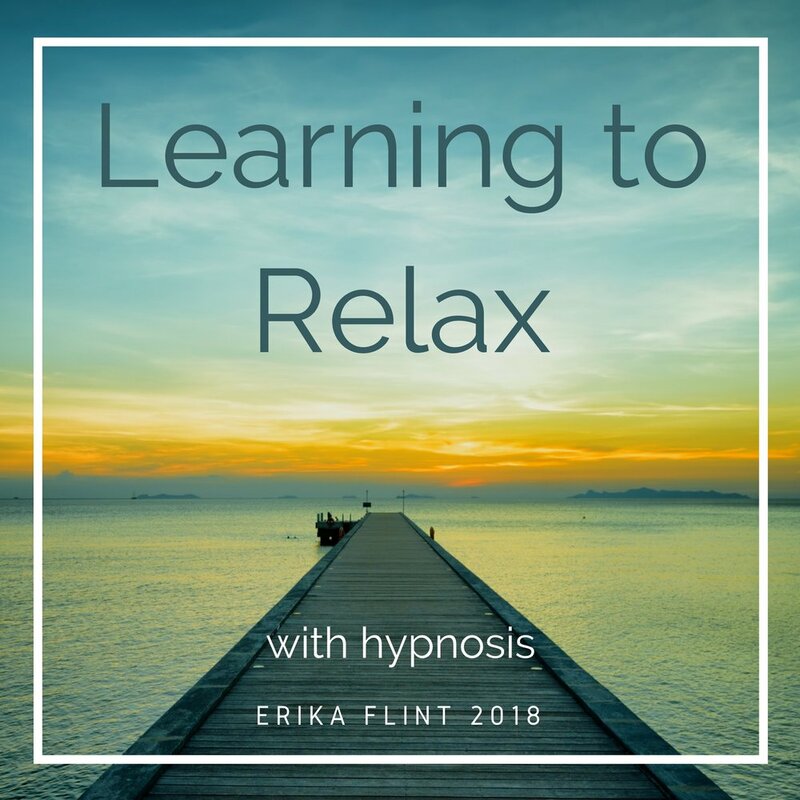 Learning to Relax - what I offer all my clients to begin their journey to success with hypnosis at our center. How do you know what products to create and sell? That's easy - it's the content your clients love. When you find yourself repeating yourself to your clients over and over, it's time to create a reusable product out of that material. I also believe new hypnotists should have a basic relaxation recording. This offers clients a great way to practice self-hypnosis in a generic, non-specific way to all of your clients. Public speaking on topics related to hypnosis, or on self-help topics with hypnosis incorporated is a great way to grow your business and make money. Professional speakers make money by getting paid speaking gigs, and by selling products at non-paid speaking gigs. Share your wisdom with the world by writing a book! It's much easier now to self-publish a book through Kindle Direct Publishing (KDP), and even with traditional publishers. For example Morgan James is the publisher of my first two books. Teaching is a great way to earn more income as a hypnotists. This is related to public speaking and teaching group courses, and often teaching, group courses, and speaking are combined into workshop style events. You will make money from student enrollment fees, course materials, and ongoing support of your students and many students will likely want to take more of your courses. Hypnosis conferences are a great way for hypnotists to earn income. I speak at the National Guild of Hypnotists conference every year. You can make money by first having your conference fee paid for as a speaker, then secondly by teaching fee-based courses at the conference and selling products and meeting new potential students. Providing deep level support and commitment to your students and clients is another way hypnotists make money. This is deeply meaningful and highly rewarding work - you get to truly support your students, graduates, and clients through a process of ongoing success. These programs are usually 6-12 months, and participants make monthly payments. They get a high level of group and one-on-one support to help them achieve their goals. The meta-message of this episode is there are many ways hypnotists make money. The handful shared here today are merely the beginning of what you could do to make money as a hypnotist. I want to hear from you! How do you make money as a hypnotist? Or how do you WANT to make money as a hypnotist? Leave a comment below. Are You Ready to Change Lives with Hypnosis? Step 1: Have an awareness strategy. And now, we get on to the new material in this video Steps 4, 5, 6, and 7! Watch the video below and review the recap under the video for details. Step 4: Continually tweak and refine your promotional efforts. It's rare that a first pass at a new marketing approach will work without any modification. This surprised me when I first started marketing my business. There is no one single way to market your business, and there is no 'secret' to marketing your business either other than continuing to refine and tweak your efforts. Everything you do to market yourself and your business will need refining and tweaking to get it just right. And even when you get it right and it brings in a steady stream of clients, you'll still need to refine and tweak it over time as your business and the profession changes. The bottom line is that it's common for your marketing efforts to take a little time to get them just right, and if you're new at this don't fret if things don't work immediately - test and refine. The best way to do this is measure your marketing in a way that enables you to understand what is working. Any marketing effort that doesn't include statistics on what is working is usually not worth the effort, because you won't know how to refine or tweak it. This is why I put my marketing dollars in online marketing like Google AdWords which comes built in with clear analysis on what is working. Step 5: Give FREE talks to your community about hypnosis! This could be at a community center, a senior center, the YMCA, a church, or at a medical facility. You can also give free talks at any local business. One of the topics that almost any business will be interested in is stress relief, and the reason why I highly recommend talking about stress relief is that it doesn't overtly include the word hypnosis in the topic. For this reason, many businesses are open to having a hypnotist come in and teach their employees about stress relief, even when it includes a bit of hypnosis. Check out the self-study course on How to Teach an Effective and Engaging Stress Buster Workshop in Your Community to get started using this technique right away. You'll have fun teaching it, and your participants will learn new ways to alleviate stress that help them lead better lives. Put out good content that you believe in. Share what you know and be your authentic self. Clients want to feel comfortable with their hypnotist, so be yourself and don't 'try to hard' to get everything perfect. Sharing good content can be in a blog post, or a short video, or even a on social media. Talk about hypnosis as much as you can in a positive way, and help your community understand what hypnosis really is. Part of our job as hypnotists is to dispel the myths about hypnosis, and you can do that in a variety of ways. Imagine that your ideal client is sitting at home right now, suffering. They don't know what to do. And they aren't aware of your business or that you can help them because you have been hesitant to put yourself out there. Now imagine you have the courage to share what you know, and create the article or video, and because you had the courage to do that, now your client finds you and gets the relief they need. The bottom line is that when you're unsure or nervous, think about all the people that aren't getting your help and use that to motivate you to put your content out there. It does not have to be perfect! I doubt this blog article is perfect. But did it help you? Create a list of the top Frequently Asked Questions about hypnosis, like is hypnosis sleep? And does my hypnotist have control over me? and everyone be hypnotized? Then answer these questions in a series of short blog posts, or short videos. Post them to your website and on line once a week, or once a day for a few weeks. Create a Hypnosis Success Board and share online your client success, this inspires your clients and others to work with you. Check out The Hypnosis Success Board we have at Cascade Hypnosis Center to learn more. Step 7: Get started now! Don’t let things hold you back! Study hypnosis and get the best training you can. You do not need ANYTHING but good training to help people. Don't get stuck in the "but I need a website", or "I need business cards" to keep you from helping people. The number one goal that I have for my graduates is to start seeing clients right away - within a week of graduation. They have everything they know to help people with hypnosis, and guess what - your client doesn't need you to have a website for them to feel better. Get started now, and the rest will fall into place. By the way, I have a FREE Marketing Group on www.OurHypnoSpace.com. The discussion is ongoing and there are lots of knowledge posted there from past discussions that are very relevant today as well. HELP! I have a client who always goes to sleep in session! In this video, Cal and I share some important tips regarding clients who regularly fall asleep in session. Understanding how this happens and some simple technique modifications for prevention can make you a more effective hypnotist for all clients. The hypnotist is talking too slowly. There's too much time spent deepening the client with suggestions for deeper relaxation. Not making the session interactive and asking for client input, such as responding verbally, nodding their head, or lifting a finger. Not utilizing a more progressive, modern induction like the 5-PATH Rapid Induction or the Time Tunneling Technique ™ which is an affect induced age regression induction. Understand that hypnosis is not sleep - and your client needs to realize this as well. It's a common misperception in the public for a variety of reasons, but in part the phrases 'you're getting sleepy', and movies that suggest hypnosis is a form of sleep. Learn to recognize if your client is sleeping. Note that snoring is not necessarily sleep. Ask your client if they regularly have issues sleeping during the day as well? It could be indicative of a deeper issue. Understand that some clients sleep as a protective mechanism - not because they're tired or sleepy. Sleep is one of our very first coping strategies as infants. And it's still very useful as a technique as adults as well - for example 'I'll sleep on it' can help our subconscious mind consider options and provide solutions. But it's not effective in the hypnosis office. Hypnotize quickly using an instant or rapid induction, like the 5-PATH Rapid Induction or the 8-Word Instant Induction. Use interactive and insight generating techniques with your client like Age Regression, Forgiveness Therapy, Parts Mediation Therapy, and Age Progression. Watch the video below for details on "HOW TO DEAL WITH CLIENTS WHO SLEEP DURING SESSIONS & HOW YOU CAN STOP ENCOURAGING IT!" Tell your friends about these great hypnosis training videos. Thanks! Let's help people lead better lives with hypnosis. Hypnosis Training Video #446: Rapport Is the First Key to Success - Get It Quickly! Rapport is a word often used when describing how to work with clients- but what does it really mean and why does it matter? Rapport makes your client feel safe, comfortable, and good sharing with you. Having good rapport allows you to focus on the needs of your client, which allows you to do great work with your clients every single time. Here's the secret to rapport: love your clients and always have a single outcome in mind for them every time you work with them - whatever is in their best interest. To the greatest degree you can, when you work with your clients YOU - the hypnotist keep your clients "dream come true" in your mind's eye when you work with them. You hold the space, and keep that wish in your heart for your clients, until they can do it on their own. Some hypnotists find the word and concept elusive, but it's pretty easy to get great results with clients by keeping a few things in mind. Watch the Free Hypnosis Training video below to increase your rapport with clients. Hypnosis Training Video #427: Very Important Things to Do to Get Your Hypnosis Practice Going!